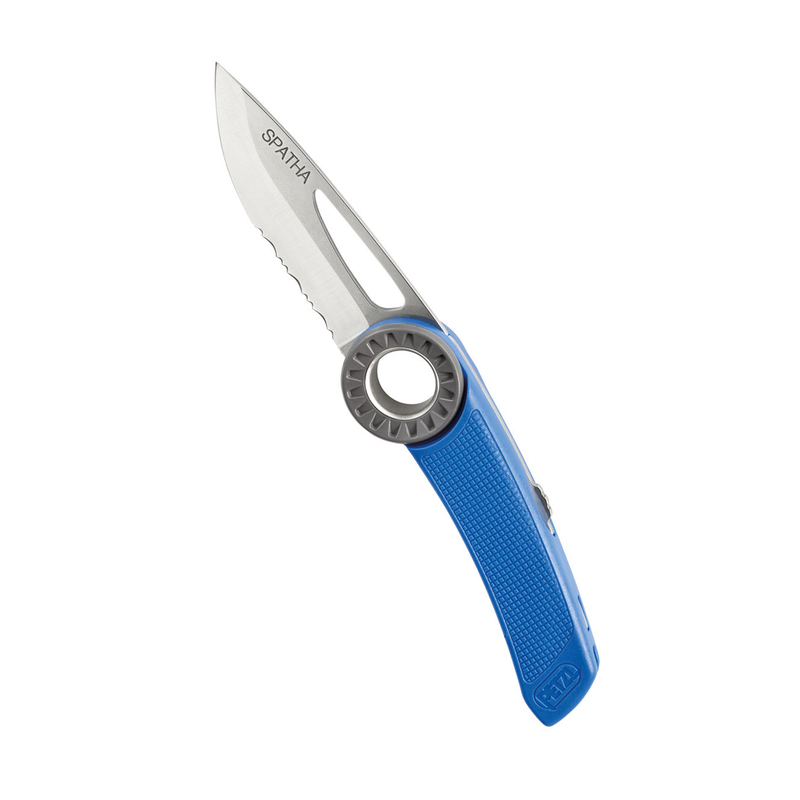 The SPATHA clippable knife is designed to accompany the climber on every outing. The profile of the blade allows easy cutting of ropes and cordage. It has a carabiner hole for attaching the knife to the harness. It is easy to manipulate with its textured wheel, even when wearing gloves, and can be locked in the open position. a well made knife by Petzl that locks and cuts off the rope fast. that small hole where the sharp blade closes, propably is not for putting a cord to carry as it has a hole for carabiner. is cheap and lightweghit and I recomment it.